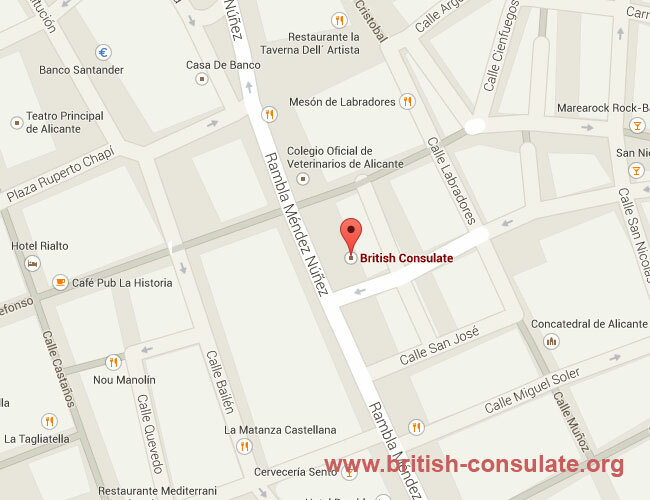 If you live in the area of Alicante in Spain then the British Consulate in Alicante is closer to you than that British Embassy in Madrid. You can seek consular assistance at the Consulate. The area is very popular with tourists as each year they have a two month music and theater celebration during the summer in Paseo del Puerto. You can ask the Consulate in Alicante for consular assistance for a lost passport, obtain a fiancee visa or marriage visa or seek assistance with regard to a public notary. British education visas have also become very popular. See the listing on this website for the British Embassy in Spain for more information and listing of other Consulates in Spain.